The Affina Team Journey Coach Programme brings together all the elements needed to ensure success in implementing team based working, based on use of the Affina Team Journey, an online assessment and development tool for team leaders to use with their teams. Meet with you to develop a strategy and plan for developing system- or organisation-wide team based working , see Consultancy and Support. Help you to identify participating teams and team leaders. Help you to recruit the in-house staff who will support team leaders by becoming accredited Affina Team Journey coaches (usually OD leads or similar). Provide Training and Accreditation for coaches and/or team leaders*. Provide your coaches with all the materials they need to run introductory workshops with groups of team leaders – see Team Journey Launchpad. Help you to monitor and report on specific outcomes. Select links or see below for details. * For organisations with limited capacity to support teams in-house, we can also work directly with your team leaders – see Team Leader Workshop. We will help you to identify the best way to embed the Affina Team Journey to achieve the organisation outcomes you want. A proactive planned approach has the greatest impact on performance outcomes. Our three day fast-track coach programme equips each cohort of up to 18 staff with the knowledge and skills to work with teams and team leaders to improve and maintain performance. We work with you to recruit, train and accredit your own staff as Affina Team Journey Coaches. Because teams are supported in-house you can deliver rich development, while keeping costs to a minimum. Coaches will learn how to use the Affina Team Journey with teams at all levels. Accreditation is optional but allows coaches to have their ongoing training and practical experience officially approved. Which staff should you recruit as coaches? The only prerequisites are that your nominated coaches have an interest in team based working, are enthusiastic and able to commit to supporting team leaders through their team journeys. LaunchPad is a resource pack containing all the materials your coaches need to run an introductory workshop, or series of workshops, with team leaders in your organisation – designed and structured for easy delivery, engagement and motivation. 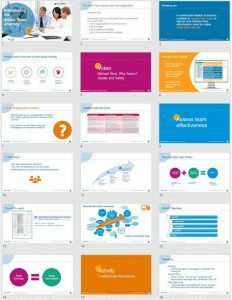 Your coaches can use these resources to introduce team leaders to their online team journey and help them take their teams through the 10-stage programme. The Coach Programme is an inclusive package of consultancy, training, support and materials for organisations implementing team based working based on use of the Affina Team Journey. POA, dependent upon your specific requirements and the number of participants per programme. Call us on 01252 727270 to discuss the specific challenges facing your organisation.